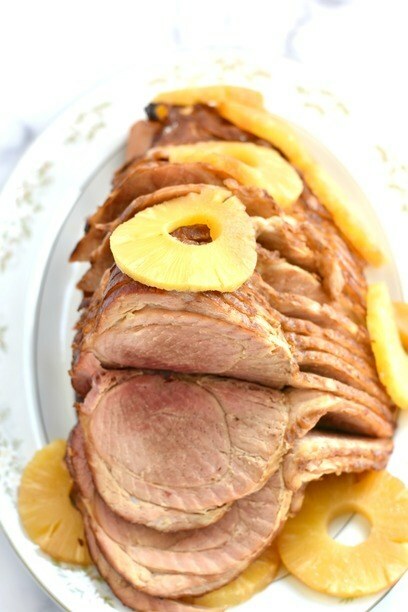 Have you ever made a slow cooker ham with pineapple? When I first started making hams I baked them in the oven. They were always dry though and lacked that juicy flavor I wanted. I decided to try my precooked ham in the crockpot. 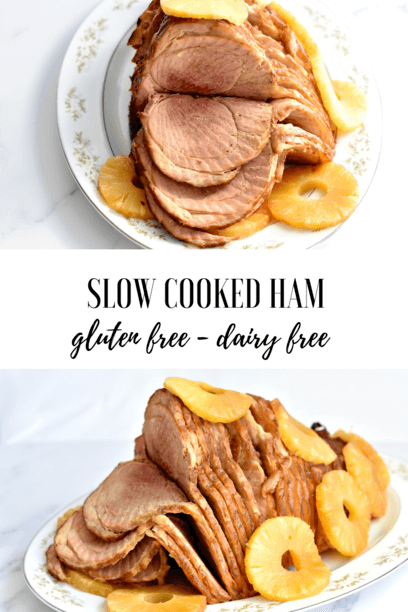 I am going to tell how to cook a precooked ham in a slow cooker, how do you keep a spiral ham from drying out, and is ham glaze gluten free in this post! 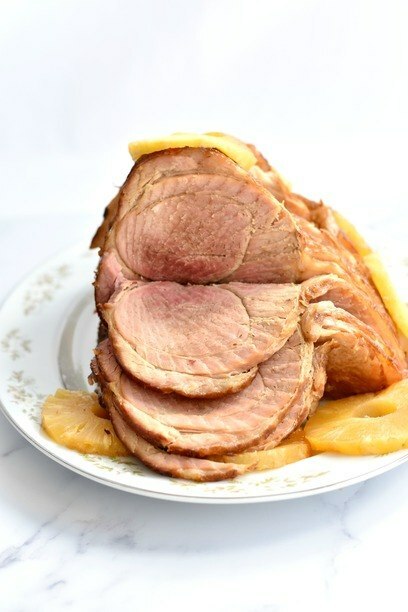 I have been making this slow cooker ham with pineapple 2-3 times a year for about 8 years now. Before going gluten free I would bake in the oven with the glaze packet that came with it. After going gluten free I read that most of the packets were not safe, so I decided to glaze that ham on my own. What I got was absolute perfection! Go figure that I lost over 1000 pictures on my computer and some of them were this beautiful ham. I will be making it again soon and updated the photos! 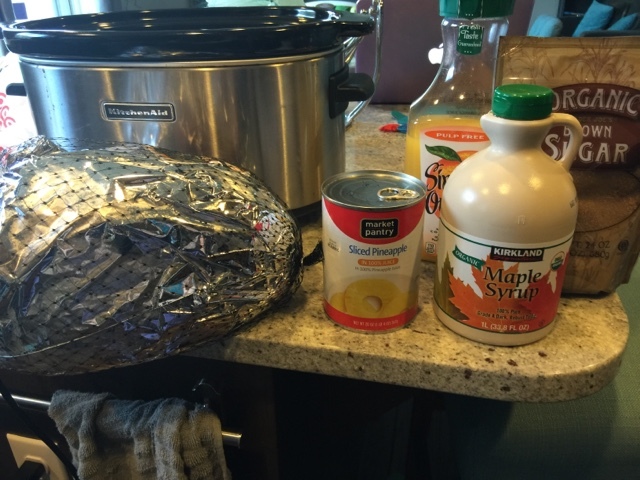 How to cook a precooked ham in a slow cooker? Add the ham on top. 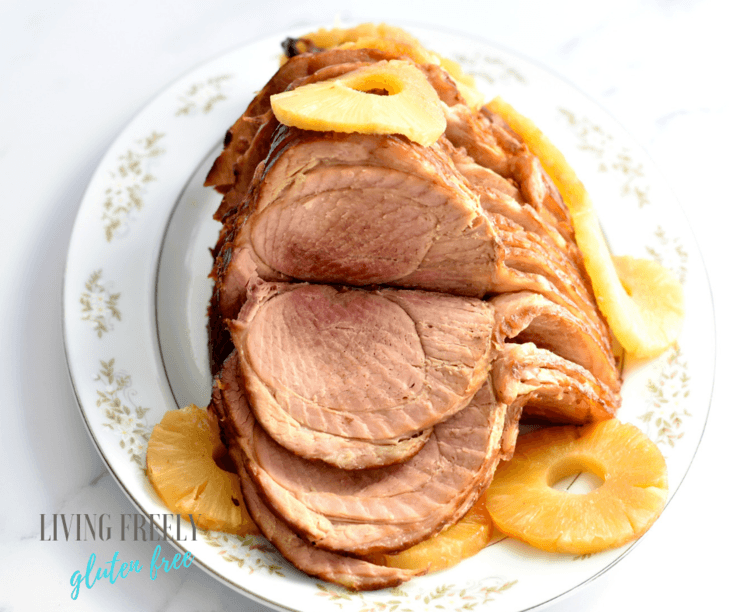 With toothpicks place the pineapple rounds all over the top of the ham. Pour the pineapple juice on top. Pour the maple syrup all over the top and then crumble the brown sugar over it. My lid will not fit with a ham so I use foil. Cook it on high for 6 hours. Every hour or so baste it. Pour the juices all over the top to keep it moist. Cut and serve. Enjoy! The juices are a huge important part. having the ham sit in the juice helps a lot. You also need to baste it every hour to keep it from getting dry. The other secret is the pineapple rings. the juice from the rings gets into the ham and helps to sweeten it and keep it moist. 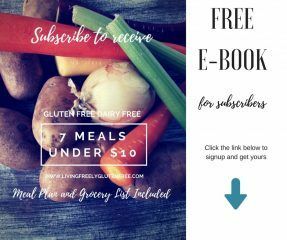 Is ham glaze gluten free? All brands are different, but I have a general rule of never using them unless they are certified gluten free. 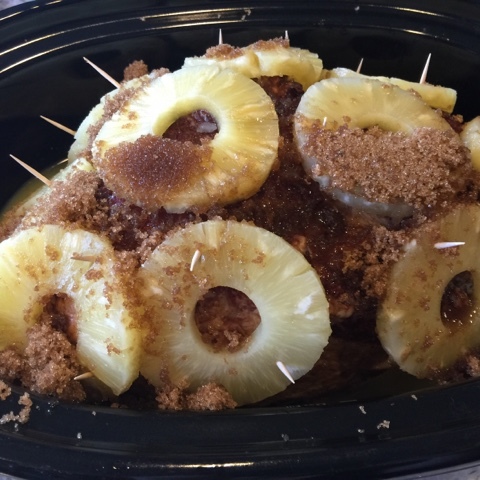 How do I make this slow cooker ham with pineapple paleo? you will need to make sure your ham is safe from additives, nitrates, and does not have sugars added to it. This will be the biggest challenge. You might want to look at a Whole Foods, or a local farm. This slow cooked ham is cooked in sweet juices that make it moist and melt in your mouth. This easy ham is juicy and full of flavors. 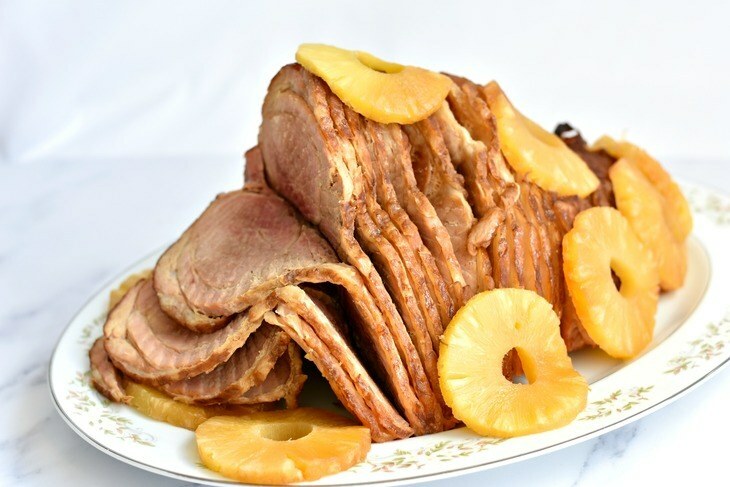 With toothpicks place the pineapple rounds all over the top of the ham. Pour the pineapple juice on top.